For many people raising a family, adding an animal into the mix can be a somewhat daunting idea. The mere prospect has many parents contemplating more work, more noise, and more mess. However, many of us who have had pets as kids or have raised kids with pets in the household know that it can make a lasting positive impact on the life of a child, and make all of the hard work, added hullabaloo, and extra mess well worth it. 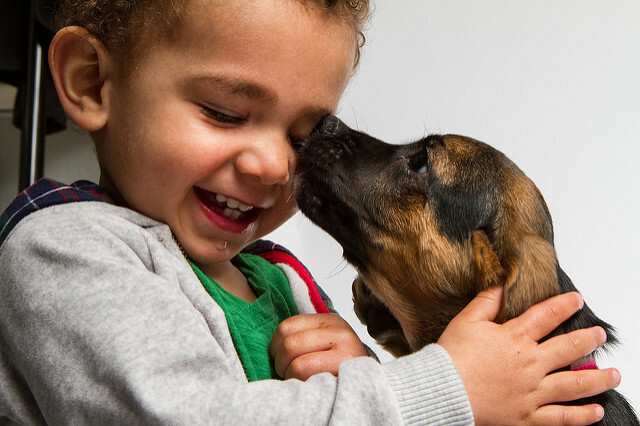 To start, a child with a pet regularly exercises compassion; they learn to love and care for something other than themselves and their immediate family. Understanding that their pet has an inner world of their own, with complex feelings and emotions, can be an invaluable tool in gaining emotional intelligence and can help children grow up to be kind and empathetic adults. Families who have pets naturally tend to lead a more active lifestyle. The healthy habits kids learn at a young age, like getting out for regular walks with Fido, stick with them throughout their whole lives. Children who grow up with pets also have a unique opportunity to take on a special kind of responsibility. Caring for a pet teaches them that the most enjoyable things in life often require commitment and a lot of work — but that the benefits are immeasurable. Perhaps the most meaningful benefit to a child is that a pet can be a source of comfort and be a best friend. It can be a child’s silver lining after a difficult day, or help them partake in interactive, exciting play. For children with special needs, a relationship with a family pet can be profoundly beneficial; an animal can be engaging and stimulating in ways that toys or television simply cannot. 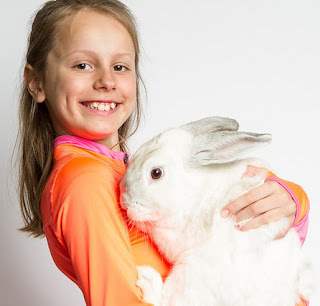 Furthermore, you can imagine how therapeutic it could be for a special needs child (or any child for that matter) who might struggle to communicate or have a hard time connecting with his or her peers to experience the completely non-judgmental and unconditional love of a family pet. Many of us who grew up with a beloved pet remember how much we loved them and we fondly cherish their memory. We might remember how we changed their lives or what we trained them to do, but perhaps the most amazing part of growing up with a pet is not what we teach them, but what they teach us.